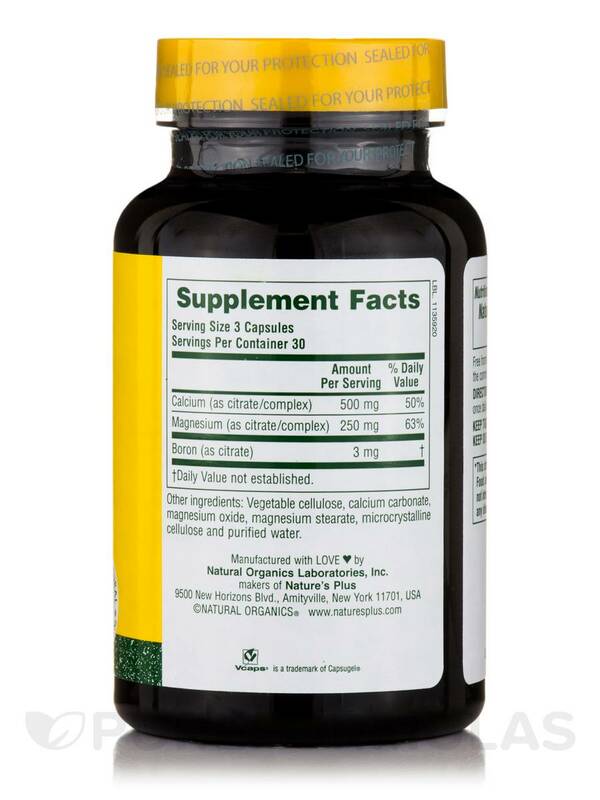 Long known for its part in building and maintaining strong bones and teeth‚ calcium has other major functions as well. Magnesium and calcium work in tandem‚ activating the maintenance of sound skeletal and cardiovascular systems. 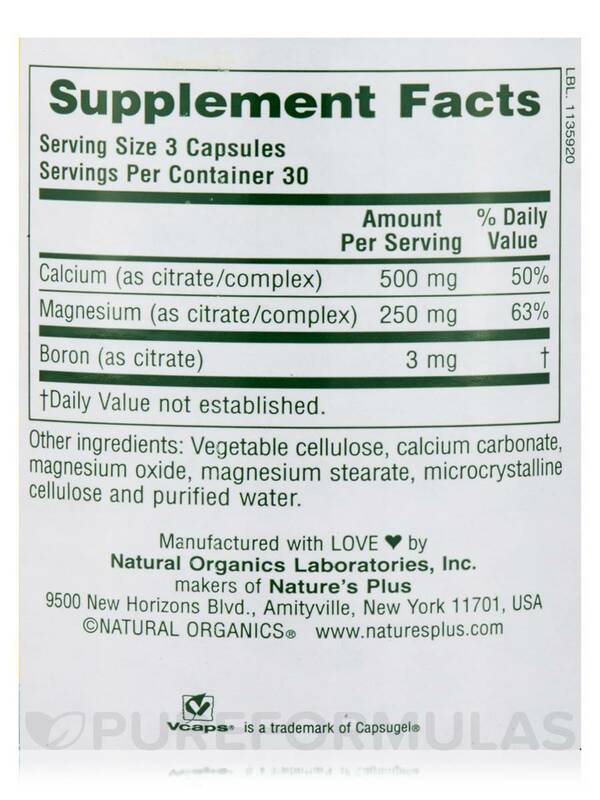 Being deficient in calcium could have major health consequences for the bones and/or the cardiovascular system. 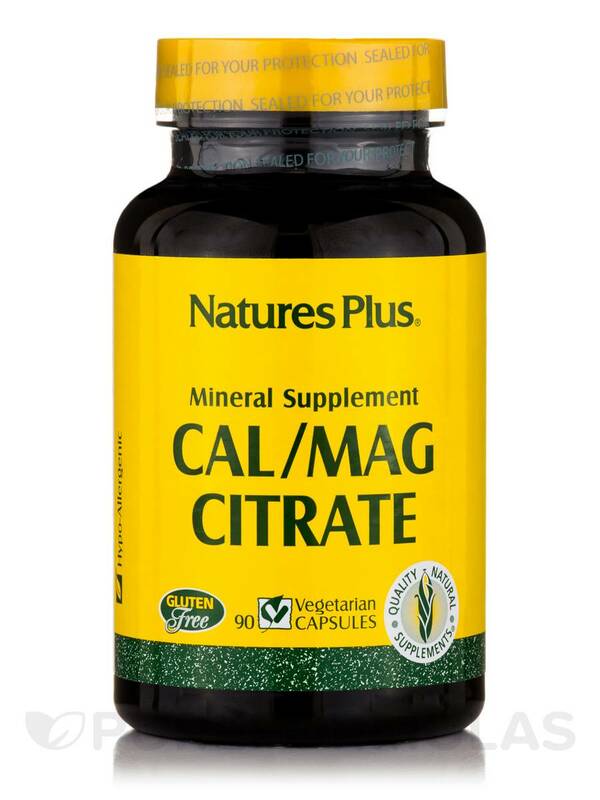 Alleviate those worries with Nature's Plus Cal/Mag Citrate Caps. With Boron. 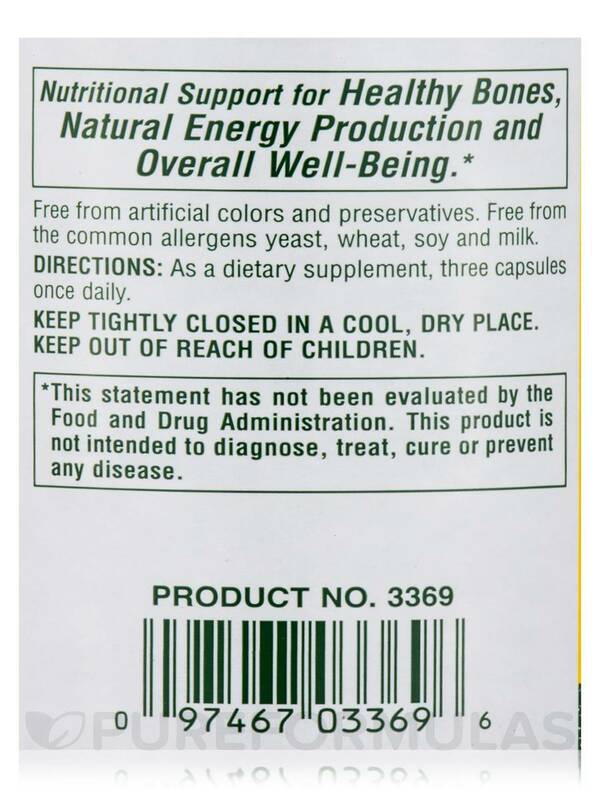 Other Ingredients: Vegetable cellulose‚ calcium carbonate‚ magnesium oxide‚ magnesium stearate‚ microcrystalline cellulose and purified water. 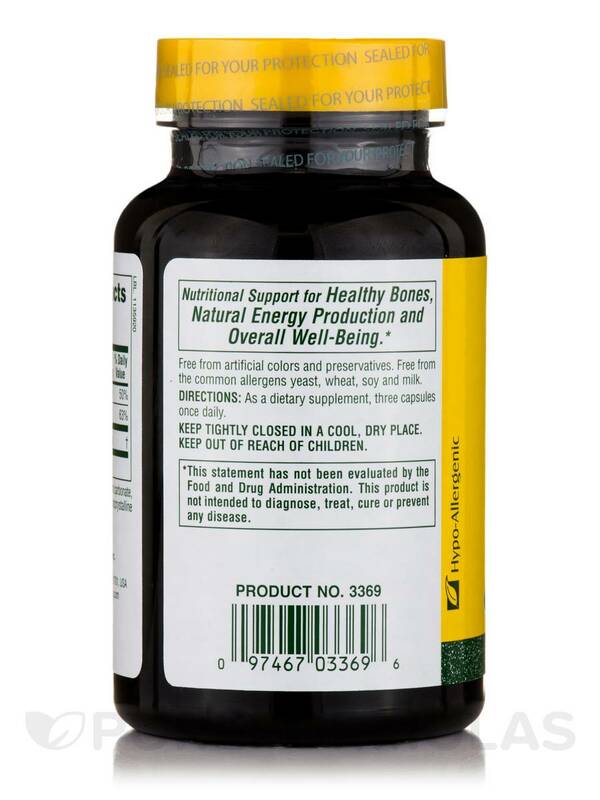 As a dietary supplement‚ three capsules once daily.